CLIP JAR 50 ml made of tritane with a metal chain binder and a sealing ring. 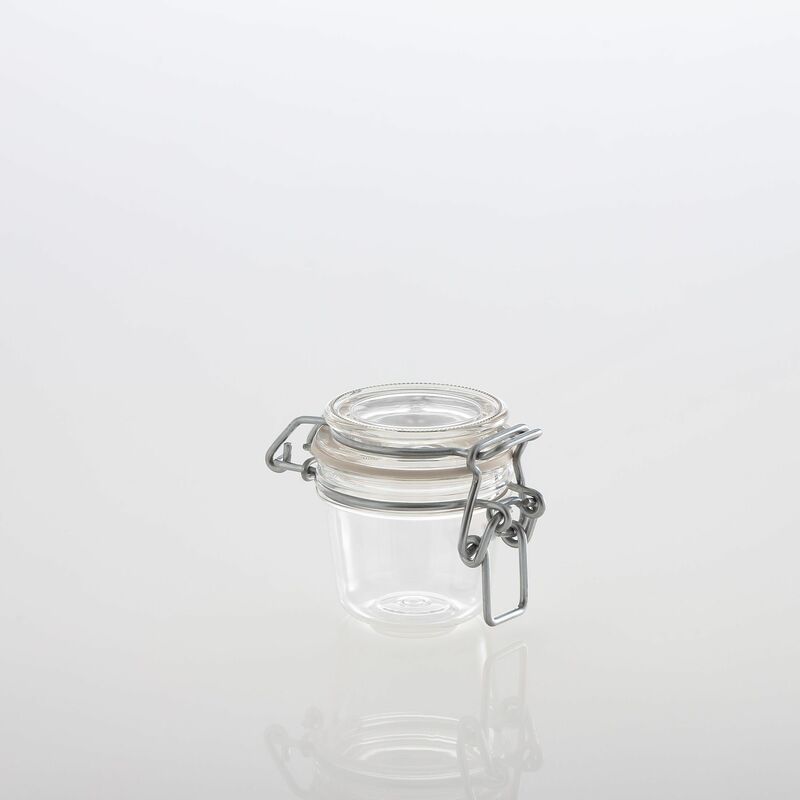 Clip Jars offer a high-quality & conspicuous packaging solution for your product. Break-proof & dishwasher-safe! Clip Jars are made of the high-quality plastic material tritane. Tritane is free from harmful chemical substances like BPA and flexibilizer. The jars are break-proof and suitable for the dishwasher. Clip Jars are suitable for storing dry and aqueous food. Because of the sealing ring the jars are not suitable for filling goods with high salinity or high oil content.